While it feels good to feel your energy flow with like minded individuals when practicing asana, yoga is so much more than that; yoga goes beyond the mat. An inspirational group of people can support and inspire you to keep moving forward both on and off the mat. 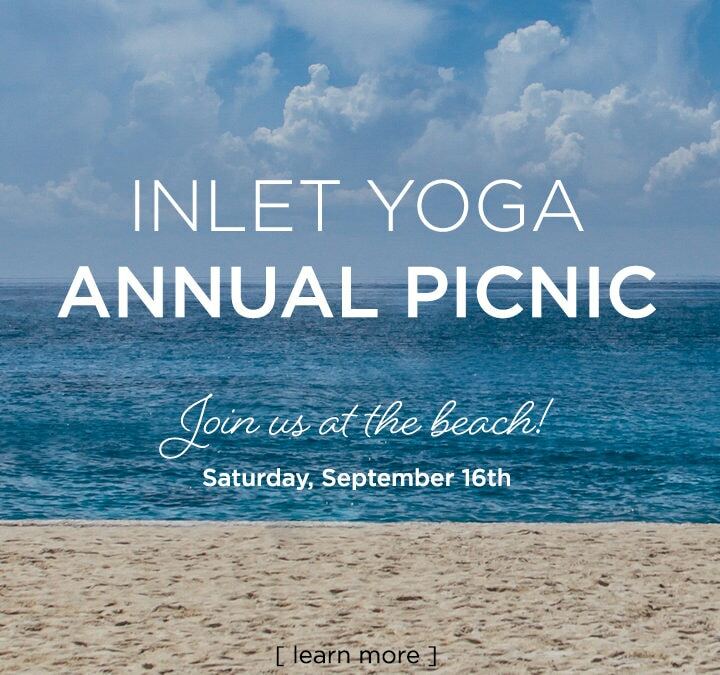 Come and “be” with your Inlet Yoga community in sangha (the coming together of community) at a Potluck Picnic at North Litchfield Beach, access #51 on Saturday, Sept. 16, 2017 from 2:00 pm – 6:00 pm. Click here for more information.